Here's a layout a made a few months back for CHA, but never had a chance to share it here ;) Grey and yellow is such a hot combination right now, add in a lovely shade of pink and wow! I love the mix of patterns, especially the big cabbage roses. Great photos. Lovely layout!! The colors are beautiful. Oh, lovely! I love grey and yellow. Lovely layout! Lovely layout! I love the colors! Thank you for helping me to refocus today. I really like how your layout looks so beautiful, but yet you didn't put a bunch of stuff on the page. Loving this page! Great design and so pretty! 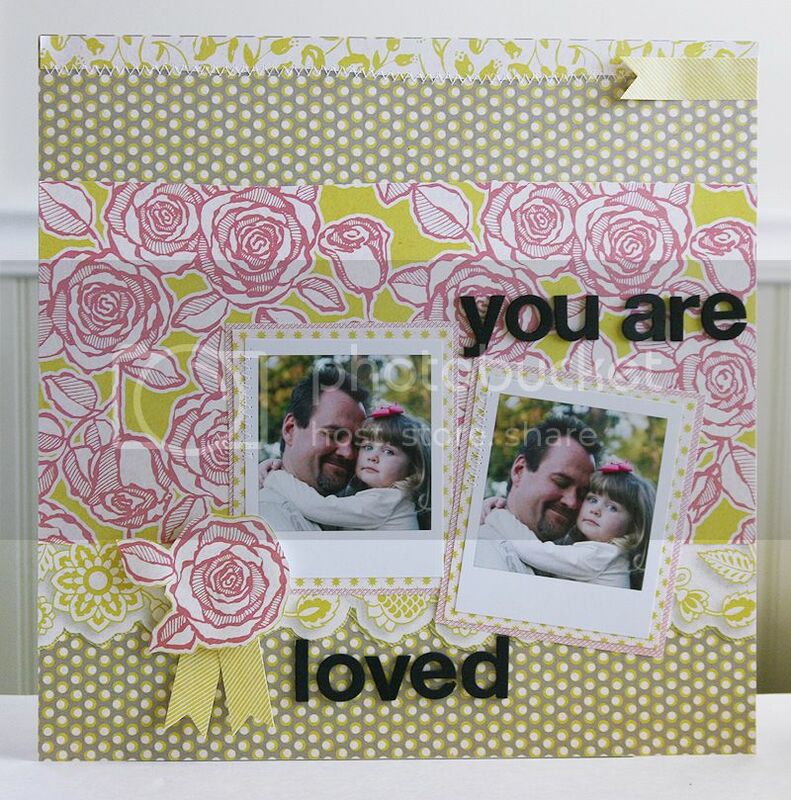 Sweet page, love the cut out rose!! This is gorgeous. I love the papers and neat idea with the photo frames. So pretty Mary Ann! Love that color combo, with the Black Thickers for your title! Love the detail-cut cabbage rose accent...beautiful layout, Mary Ann!